Just a short walk from Harris Street near the freeway overpass and a few blocks from the craziness of city is this spacious oasis of calm and serenity. Providing the best in Pyrmont relaxation massage, drop in any time. Different Asian masseuses each day will look after your aches, pains, strains and nerves! Located at street level 211 Bulwara Road Pyrmont, we have 3 treatment rooms including 1 double room - bring a friend! Plenty of street parking nearby. Directions: Located at street level in the 'Greenbank Building', around the corner from Fig Lane Park, and almost under the Freeway. Accessible from Harris Street via Upper Fig Street (just 1 block away - refer map below). From the west, best access is via Jones Street. 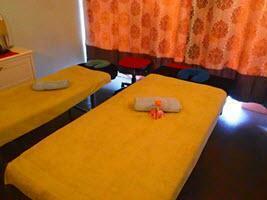 Specialty: Full body massage for relaxation or therapy. Traditional massage, Oil massage, hot stone massage. Parking: 1 hr meter parking in adjacent streets, 2 hr meter parking in Jones Street (next block down Fig Street). Call for 'Greenbank Double Massage' Discounts on 2 Hour and 4 Hand Massages. Premises: Quite spacious, nicely decorated. Clean modern shower and bathroom facilities available. 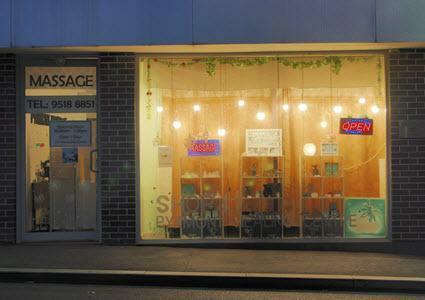 Looking for massage near Pyrmont, Ultimo, Glebe, Wentworth Park, Sydney City, CBD? Call (02) 9518 8851 Now!